Full Color Custom Mugs. 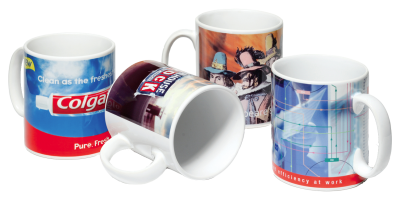 Great Promotional Custom Gift Mugs and Photo Mugs. You won't be disappointed with our full color mug printing. All of our mugs have no color limitations which means you can print a photo, logo or whatever you need! Dishwasher safe and very durable these mugs will make a great gift or promotional item for your company. 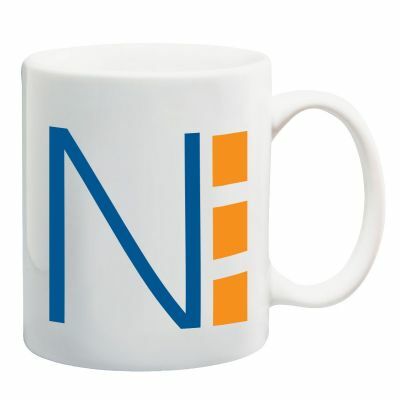 You can use our online design tool or we can design a photo mug for you! All basic mug designs are free which includes photos and text. No need to wait weeks for our custom mug printing as our standard turnaround is only 3 business days. Need it faster? Our one hour mug printing service is also available, order online and pick up in a hour on 5 or less pieces! Have 24 designs and want 24 different mugs? We can do it for you cost effectively. For only $2 more per mug we will print 24 different images you provide.